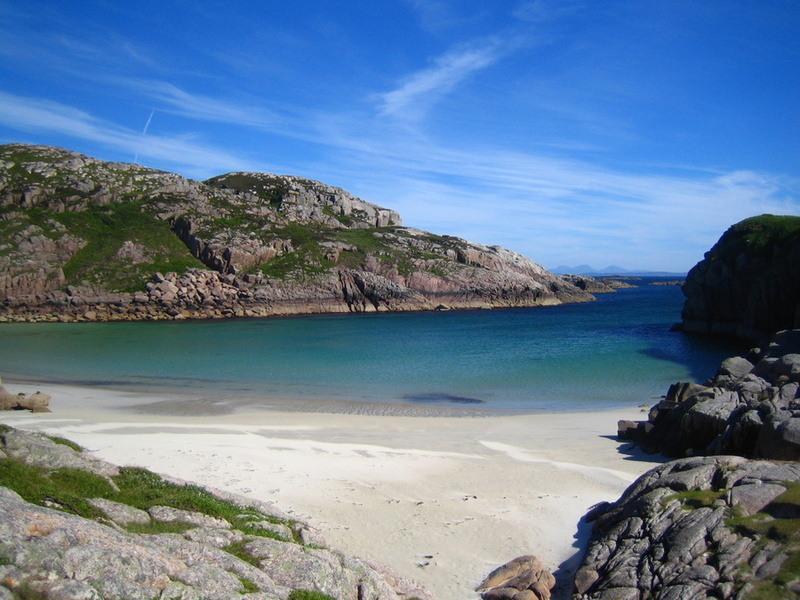 I live in the small community of Erraid, on the West coast of Scotland, in the Inner Hebrides since 2017. I am proud to be a Custodian of the Isle alongside Matt, Franzi and Leen on behalf of the Van der Sluis family, who bought the land on Erraid. Our community is part of the Findhorn Foundation. Being a Custodian and a member of Erraid entail many things. They range from having a spiritual practice, to maintaining the land, equipment, buildings and cottages we use and live in. We also share the beauty and raw nature of the island with guests who stay with us and essentially run a charitable business. We also rely on volunteers who make a great difference to the running of the place. Here work is love in action, with a strong emphasis on inner listening and co creation with nature. Each of us not only hosts guests but also has between 4 and 9 roles or focus areas each, some include things which some of us have never done before and which we’ve had to learn from scratch and through handover notes both written and oral! Last year in August, I inherited the wild flower meadow. I had absolutely no idea about wild flowers but really liked the sound of them. For a few months, I looked to the community for some ideas but really nothing moved forward. And then a little voice inside me told me to do something about it …by myself! I felt very timid about the whole thing and very quickly realised that this was a golden opportunity to get out of my comfort zone. Suddenly I felt quietly excited and with encouragements from Matt, I made an announcement at the morning meeting about the wild flower meadow. My first step was to spend time in the meadow. I invited some of the volunteers to join me. Together we looked at the land, and exchanged some ideas. Inwardly, I asked the land what it wanted and a quiet answer of a wild flower spiral came. Excitingly, it also came to one of our volunteers Oceana, who was the first to voice it. Wild Flower Spiral Project was on. I followed the principle of co creation with nature to guide my next step by further tuning into the land and asking for support with the project. The small voice said something about bees. The next step was to trace and part dig the outline of the spiral. Then with a strong team of 5,, Arran, Julie, Anthony and Oceana we collected stones from the quarry and placed them in the gap where we’d part digged the outline of the spiral. Once the stones were set, we removed the grass and weed. It took us 2 full days. The spiral was ready. For me, this was a huge achievement. I’d never done something like this. I also knew that the spiral would remain a feature of the community for years to come. I also knew that my next step was to build a beehive! The community is looking for new members. If you are ready for a challenge, want to get out of your comfort zone, have practical skills, or are willing to get stuck in and learn, want to live with the rhythms of nature, grow in ways beyond your imagination, be physical, spiritual and live something unique in community, then Erraid needs and wants you! Dear Friends, I have heard there is a book called ‘7 years on an Islet’. It could be on a bookshelf here on Erraid, but I have yet to lay eyes on it. It was written by Ella Horsey who came to cleanse the island before the Foundation became custodians. Her portrait looks over us everyday in our meeting room. Steve, myself, Jack and Libby made the move here March 2011. On 11/11/11 we became members of the Erraid Community. There was a deep sense of right time, right place. A calling of which still reveals itself to us regularly. We wanted to raise our children in a safe place that was close to nature, work with the elements and with like-minded folk. We also wanted to walk our talk and open ourselves up for the endless personal growth a small Hebridean spiritual community could offer. Over these six years I have enjoyed holding many areas: child care, animal care, home care, bookings, cooking, wood splitting, fair weather boating and the focus of the Island. After much resistance I did the accounts and now love the role, but it became clear that once the position of Garden Focaliser opened up, this was where I was destined to be. After absorbing bits whilst helping out over the years, regular visits to Cullerne Garden and the World Wide Web, I now feel I am a fairly competent gardener. About a year after arriving I was drawn to support the Island Focaliser at the time, my good friend Britta. It felt only natural when I was elected into the role following her move over to the Park. Thanks to Britta holding the light and her strong connection to the Foundation, it was an easy transition. It has been an enormous pleasure to maintain that bridge which she worked so hard to build. We worked well together. She held the vision and wisdom of the island and I had the energy and determination to make a difference. I’ve enjoyed many visits and workshops over at the Foundation and love supporting the Family Experience weeks in the summer. and mission statement. Catherine for being at the end of the phone for accounts chats. Kajedo for his inspiration in the forest. Geoff for his worldwide PR. Gordon for facilitating S&PD weeks and introducing NVC, Sociocracy, giving and receiving feedback. Kathy for our current S&PD weeks and support with my initial struggle to release the role of Island Focaliser. Using constellation work with the Erraid family to define the role and trusting that all will be very well. Claire for her willingness to take on the role of Erraid Island Focaliser. (I wondered if stepping back and staying on would be a challenge. The whole process has been very graceful and ‘In Perfect Timing’. It has allowed the Julia to come out more). Also our extended family of guests including visits from ex-residents, co-workers and of course the ever changing Erraid Family itself (more to come on that)…..and last but not least the Van der Sluis family for providing the magical island and all its infrastructure. There have been many changes over the last 4 decades and the 40th birthday will be celebrated next summer. Also, many things are still very much the same. In my experience Erraid thrives on diversity, especially if there is a family at the heart of the community. Residents and guests seem to enjoy the children around us as much as the wise elders to teach us how to love, laugh and breathe. Manifestations have been fruitful. So much so that we have a full compliment of members and potential members. So….this is not me signing out. When the Pittams finally do leave (for high school) it will be a huge adventure. I hope Eileen and Ella would be proud if they could see Erraid now: A vibrant, thriving beacon of consciousness for humanity. So as I begin my seventh year on an island I look forward to the next growing season and our next steps on this incredible journey. Seaweed time, you ask? Yes. It’s the time of year when the Erraid Community gathers seaweed from the beach and spreads it on the vegetable beds. Seaweed is an excellent fertilizer and even repels slugs. It’s also free, and if you live on an island, it’s relatively easy to obtain. We take around 10 trailer loads of seaweed per year, which feels sustainable in relation to the amount that washes up. Erraid lore is full of tales of long days hauling seaweed up from the beach to the gardens and then labouring to spread it on the vegetable beds. Today, we are thrilled to use technology, in the shape of the trusty tractor, to make the job a little easier. Seaweed time begins in late autumn/early winter when vast quantities of the stuff wash up on shore. So a couple of days ago, our trusty tractor man Steve checked out the tractor’s scooper. It was stuck. No going up, no going down. No scooping. No scooping of seaweed. Visions of forking endless streams of seaweed into the trailer haunted us. The men of the community could be seen hunched over an iPad showing YouTube videos about hydraulics. How sweet, I thought, as I carried on with the dishes. (Do we have gender-stereotypical roles around here? Well, yes. And no. Today I decided that if I wanted my male colleague to carry on whipping up that chocolate pudding for dinner, it behoved me to apply that plunger to the blocked drain myself.) Later, YouTube abandoned, Steve could be seen hanging from the scooper in a vain attempt to get it to shift. Still later, Steve could be seen carrying a can of hydraulic oil. Voila, the scooper scoops. Whew! And so the next day, Steve assessed the tide, ignored the drizzle and set out for the beach in the newly-oiled tractor. Some of the rest of us trailed behind, not wildly inspired by the day’s task, it has to be said. Myself, I had indoor work to do. Important work, of course. I promised to help spread seaweed later on. Tea break arrived along with the damp seaweed collectors, who brought tales of adventure: of the tractor losing power, of the tide coming in, of an urgent message to the builders on the island, who have big machines, to help move the tractor before the tide got it. And Steve, in his own words, ‘like any good mechanic, checked the diesel. There was none.’ And so, happily, another machine-related crisis was averted. Even more happily, the tractor duly dumped two full trailer-loads of seaweed at the bottom of the garden, saving a few backs for the next task of forking it onto the vegetable beds. There’s nothing quite like the endorphin rush that accompanies repeated forking and wheelbarrow-pushing in the rain with one’s dear fellow community-members, rain and sweat dripping down one’s glasses and face. Today, it all happened again, except that it was a beautiful sunny day, the tractor made three trips, we called all hands onto deck, and I documented it. Seaweed-spreading is an aerobic sport, as demonstrated by the lovely Arjette Kasperts. The best thing? Apart from the tractor working and the rain holding off, that is. The best thing is that one trailer load of seaweed almost perfectly fits into one vegetable bed. I wish I could say that we planned it that way, but I think we just got lucky.